The weather’s been so chilly lately, I’ve struggled to get out of bed in the morning. And I’m not the only one the cold’s affected. Stop-start won’t intervene when the engine is cold. This is because the car’s computer is sufficiently savvy to know that an engine is at its most efficient when it’s fully warm. Therefore the clever computer keeps the engine running until it’s at an optimal temperature. You’ll know the stop-start has stopped working because an A in a circle with a line through it will appear on the dash. What kit have you switched on? Stop-start is clever enough to monitor the battery and how much current is being drawn from it. If it’s cold and you’ve switched the lights, wipers and heater on it may decide that cutting the engine isn’t going to do the battery any favours. This is because all those features will then be drawing electric current from the battery. The computer knows the battery’s most important job is ensuring the engine starts. So it disables the stop-start in case the battery is drained so much the engine won’t re-start. 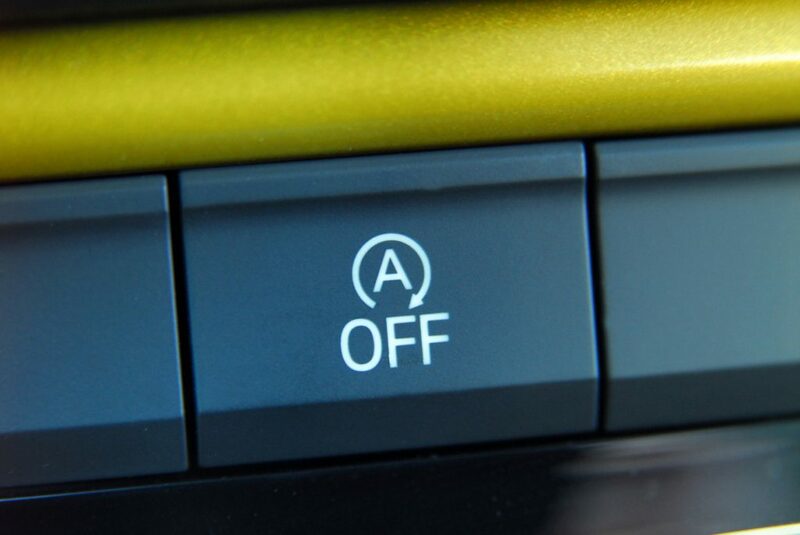 Cars with stop-start use special batteries that can withstand constantly starting an engine. I read somewhere that while a ‘normal’ car’s engine would start up about 50,000 times during the car’s life, on a stop-start car, that figure would be around 500,000. To make all those starts seamless, the stop-start won’t kick in if it detects the battery is dying and it’s going to struggle to restart the car. Here’s something not everyone knows. Stop-start won’t operate when reverse gear is selected or a parking aid is active. Having the wheel turned at an acute angle will prevent it working too. The system realises there’s a high chance you’re manoeuvring and will find the engine cutting out every few seconds more than a little irritating. And the car is smart enough to disable stop-start when you’re on a steep hill. Neither will it work if there are any faults with the engine management system. You’ll know this because a warning light will illuminate on the dashboard. 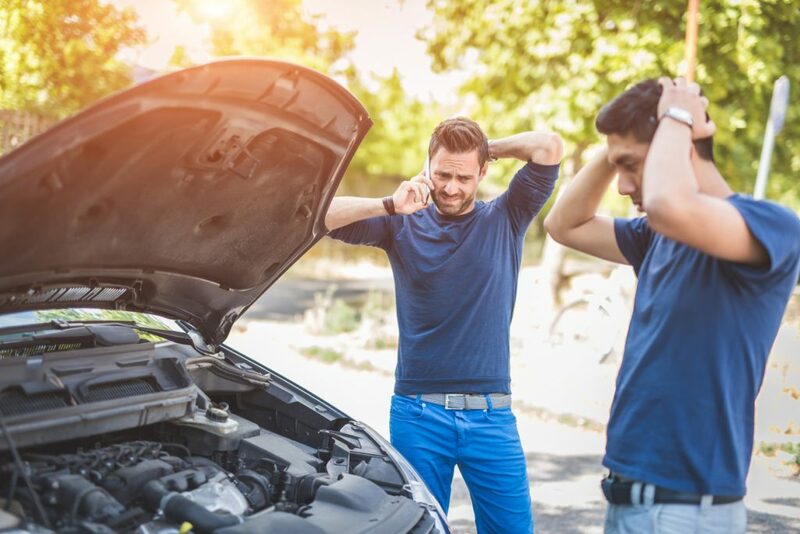 Should a mechanic check your car over? It really depends on when the stop-start doesn’t work. If the weather isn’t too cold or you’ve been driving at speed for longer than 20 minutes and it still doesn’t work when you come to a halt, it’s definitely worth taking your car to see a mechanic. Chances are the battery needs replacing. I always think it’s best to do this before it actually fails and leaves you stranded somewhere. The system works with the car’s main computer. It detects when the car is stationary and out of gear (if the car’s a manual) or the brake pedal is pressed (if it’s an automatic). It then tells the car to stop delivering fuel to the cylinders. When the system realises the driver wants to move off because they’ve released the brake or dipped the clutch pedal, the ignition starts again. The driver shouldn’t have to do anything to re-start the engine. Another piece of ‘modern’ equipment with unintended consequences – like the parking brake that is released by putting a foot on the accelerator, even if the vehicle (with an automatic gearbox) is in drive, or worse still, in reverse. At least one person has been killed by this dangerous gimmicky brake release. Buses I use have this stop-start system; the driver puts the parking brake on and the engine shudders to a halt, only to re-start a few seconds later. Just how much extra and fuel is used and extra emissions emitted each time? I really didn’t know about all these reasons behind my stop/start not working in winters. Thank you a lot for putting all this in my knowledge. I really appreciate that. I do not think the stop and start saves any fuel it is also a pain in the rear end how do I stop the thing working?. with engine stopping at every slow done.